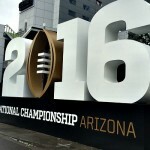 In January 2016, Downtown Phoenix will once again serve as football central when it will become the hub of activity for the College Football Playoff National Championship. 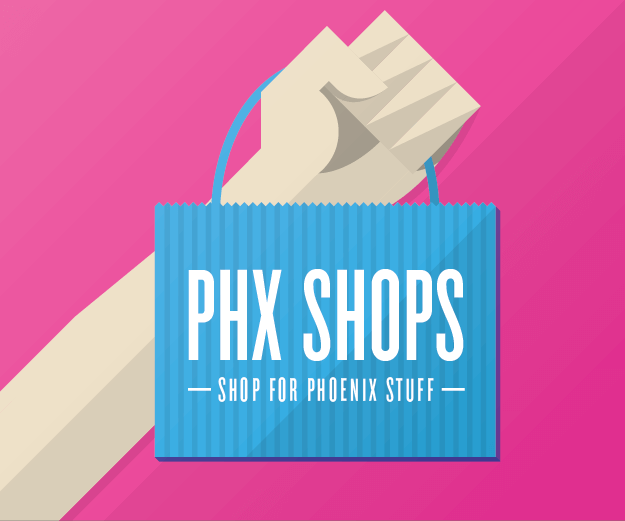 Although the big game will be played at University of Phoenix Stadium in Glendale, the fan festivities will be based in the heart of downtown. 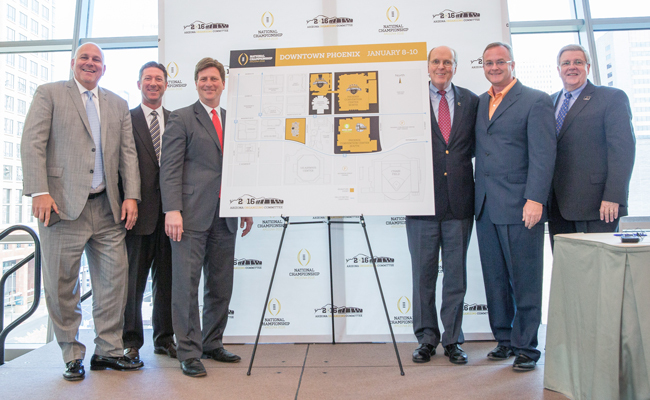 Pictured left to right: Tom Sadler, president and CEO of the Arizona Organizing Committee; Brad Wright, co-chair of the Arizona Organizing Committee; Mayor Greg Stanton; Bill Hancock, executive director of the College Football Playoff; Michael Kelly, chief operating officer of the College Football Playoff; Win Holden, co-chair of the Arizona Organizing Committee. Photo courtesy of Haute Photography. 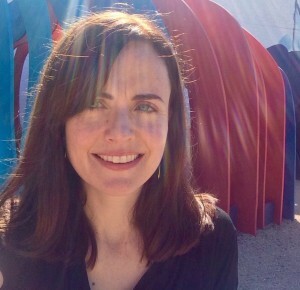 Phoenix’s available resources and infrastructure, coupled with its vibrancy and energy during the Super Bowl and the Fiesta Bowl, have solidified the city as a prime location for these types of large-scale events. 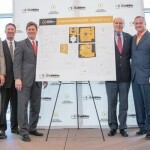 “After several site visits to the Valley of the Sun, our staff ultimately felt that downtown Phoenix would serve as a solid foundation for us to build on for the 2016 national championship game,” says Bill Hancock, Executive Director of the College Football Playoff. 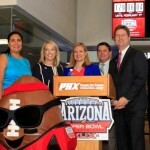 Along with hosting the hub of fan festivities, it was also announced that Downtown Phoenix will be ESPN’s central broadcasting location throughout the run of activities. The events leading up to the championship will begin on January 8 and continue through game day on January 11th. 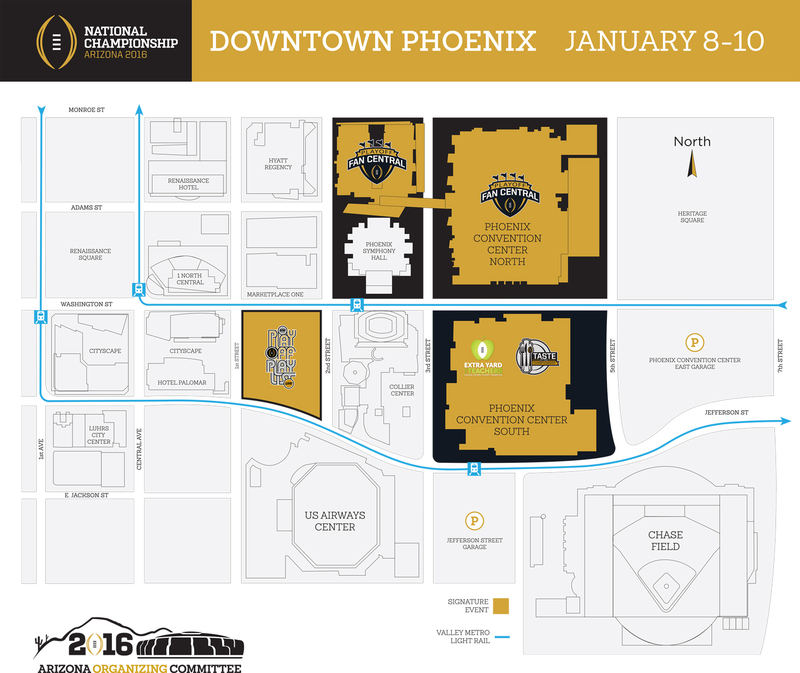 Similar to Super Bowl Central, the footprint for the College Football Playoff festivities will be set right in the center of downtown, running from 1st Street to 5th Street, from Jefferson to Monroe Street. Playoff Fan Central: A multi-day fan fest allowing visitors to be part of the national championship experience. 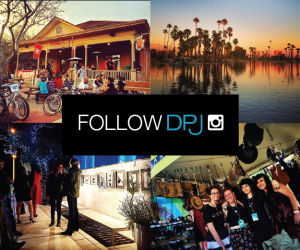 AT&T Playoff Playlist Live: A free concert series featuring national recording artists and broadcast by ESPN. Taste of the Championship: A culinary event and benefit featuring chefs from Arizona and other parts of the country. CFP Extra Yard for Teachers Summit: A celebration of local teachers in the community hosted by the College Football Playoff Foundation. 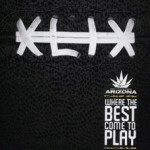 Learn more about the game and find announcements about additional game-related activities at azchampgame.org.